Having ombred hair REALLY damages it. I always get asked if bleaching hair causes damage if it is just on the mid lengths and ends of your hair. The answer is YES. I have been dying my hair for about 4 years now. I have had dark brown hair, red hair, plum toned hair, light brown hair, ombred hair, bleached hair, highlights, you name it and I have most likely had it. I think I might make a FAQ page on my blog if that's something anyone would be interested in? I am so bad for getting my hair cut because I physically do not trust hairdressers to just take an inch of my hair, 9 times out of 10 I go in with my hair being really long and come out with it being at my shoulders haha!! 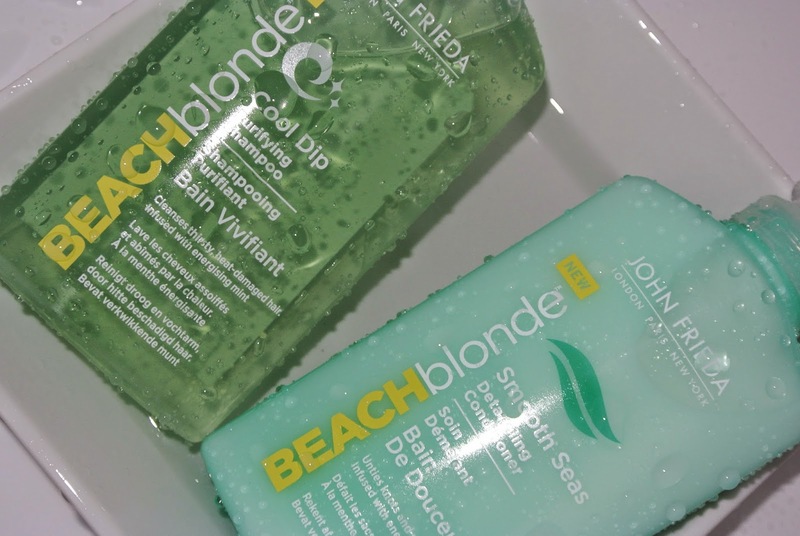 So I used to love the John Frieda Sheer Blonde shampoo and conditioner. I still do love it, however I like to change my hair care up every two months to try something new. I must admit John Frieda have me hooked right now. 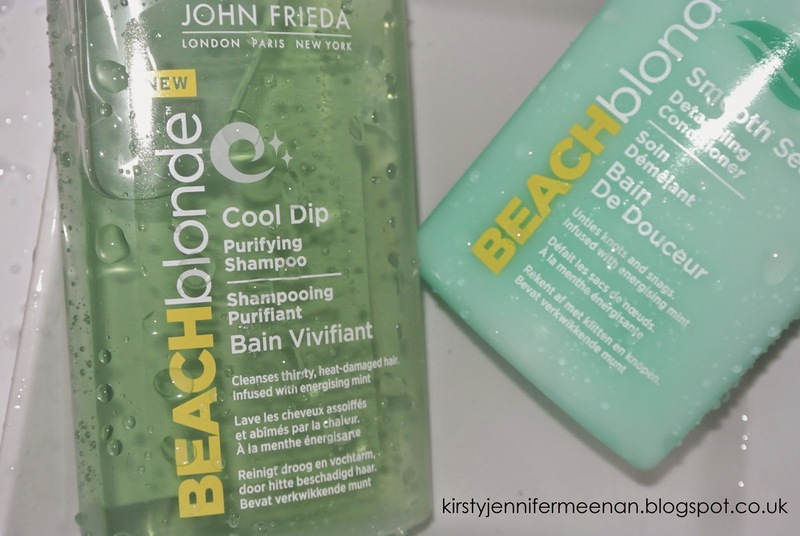 I bought the new John Frieda Beach Blonde Cool Dip Purifying Shampoo and the Beach Blonde Smooth Seas Detangling Conditioner. The shampoo cleanses heat-damaged hair to revive it and add more life and volume. 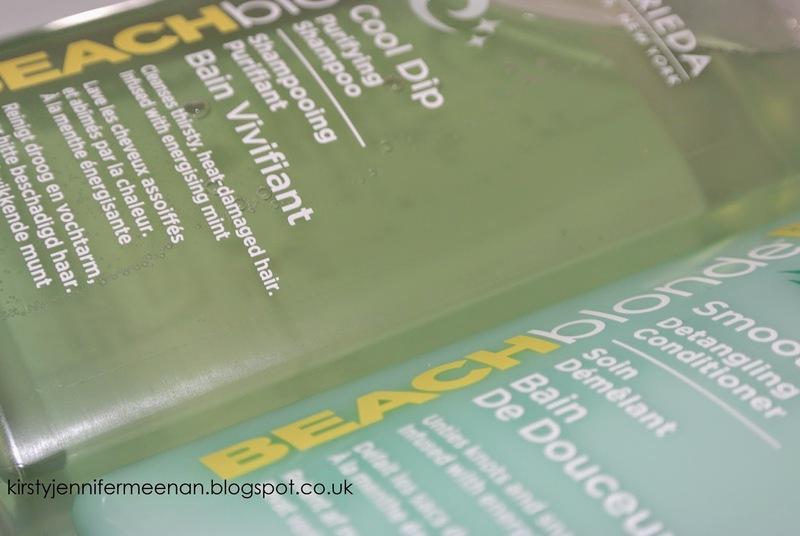 I love how invigorating this shampoo is because it is infused with energising mint and seaweed extract so it is a great shampoo to use in the morning to really wake you up. I love the look of soft beachy waves and this is a great shampoo for that as it lightly texturizes and thickens up the hair. 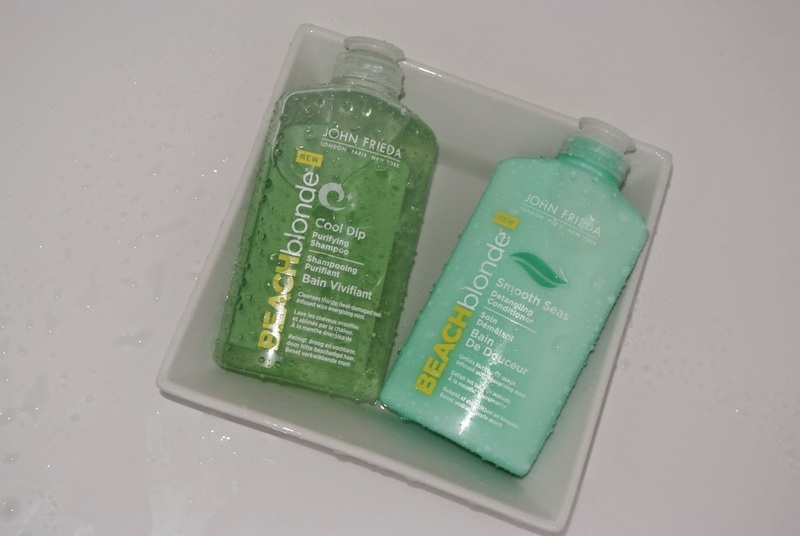 The conditioner is great for detangling knots and snags in your hair which is also infused with the mint fragrance. The conditioner also contains omega-rich kukui which will really increases the silkiness and shine in your hair. I hope this was of help to anyone how has ombred, bleached or heat-damaged hair.